Summer is just around the corner, and that means warmer weather, longer days and lots of family trips to Hawaiian Falls! It may be early but we are already counting down the days until Hawaiian Falls is officially open for the summer on Saturday, May 27th. With four locations throughout the Dallas-Fort Worth area and one in Waco, there is plenty of summer fun for everyone to experience. Hawaiian Falls was built with the family in mind. Play with the kids in the wave pool, hang out in the lazy river or experience the thrilling rides like the Pineapple Express. There’s nothing for parents to worry about with lifeguards to ensure everyone’s safety. For even more fun, buy a season pass to get access to all five waterparks for the entire summer. Season passes also come with great perks like early entrance so you can find the perfect spot for soaking up the sun all day long. In addition to early entrance, each season pass comes with a coupon book, 20% off cabana rentals and more great perks. 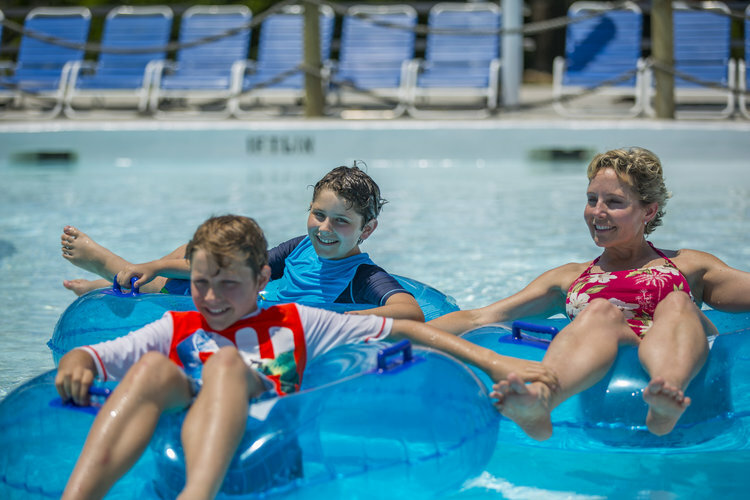 A visit to one of the five locations is perfect for a family staycation over summer when the only way to escape the hot Texas sun is by spending the day in the water. Visit the same park all summer long or switch it up, the possibilities are endless with a season pass. You can even plan a weekend getaway in Waco to explore the Magnolia Market before spending the rest of the day splashing in the waves at Hawaiian Falls Waco. No matter how you want to spend your summer, you’ll find something for every member of the family at Hawaiian Falls. Buy your tickets now so you can join us for a summer of awesome!